Whoever said the best things come in small packages was absolutely right. The Yasmine Side table captures the traditional sophistication- with its durable marble top while maintaining its modern edge with its solid wooden base. Class black lacquer and luxurious gold are found intermixing to reveal each colour's respective dominance in the intricate design. Top: Marble. 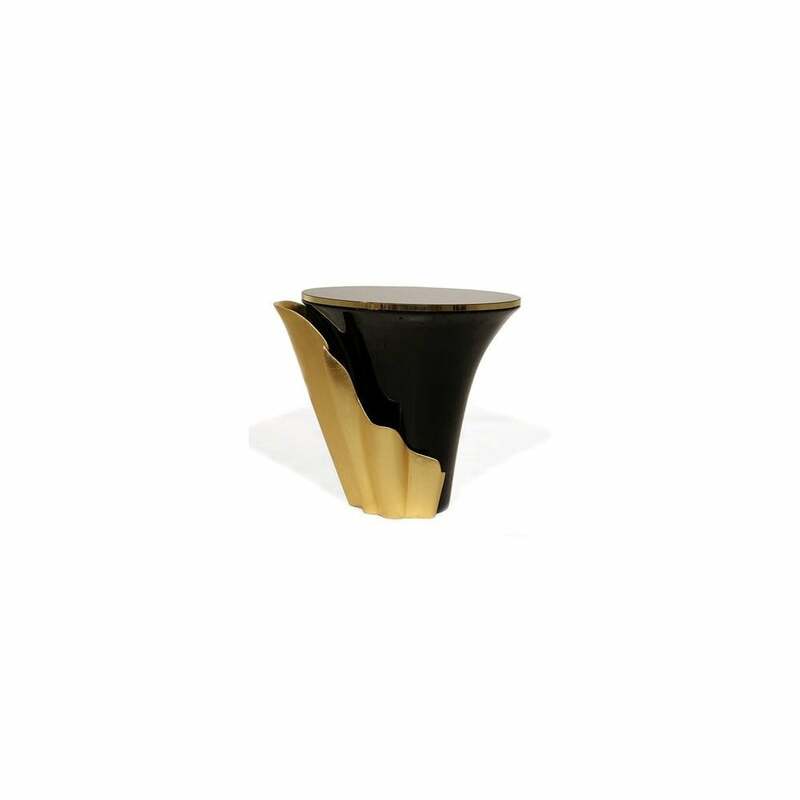 Base: Black lacquer or any colour RAL and Gold Leaf. Top: Marble. Base: Black lacquer and Gold Leaf.